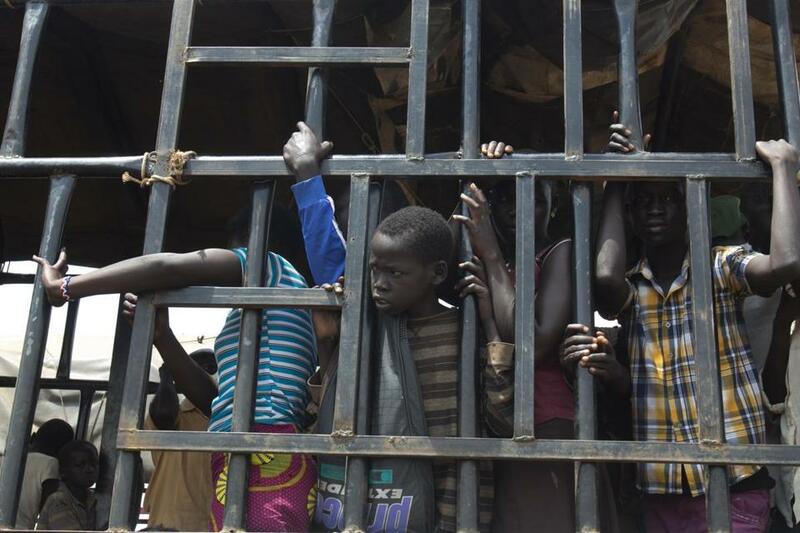 South Sudanese children arrived at the Imvepi refugee settlement in northern Uganda in April. NAIROBI — More than 1 million children have fled South Sudan’s civil war, two United Nations agencies said Monday, part of the world’s fastest growing refugee crisis. Another 1 million South Sudanese children are displaced within the country, having fled their homes due to the civil war, said the UN’s child and refugee agencies in a statement Monday. The civil war has worsened South Sudan’s ethnic divisions and UN officials have said parts of the country are experiencing ethnic cleansing and are at risk of genocide. Roughly 62 percent of refugees from South Sudan are children, according to the UN statement, and more than 75,000 children are alone or without their families. Roughly 1.8 million people have fled South Sudan in total. For children still living in South Sudan, the situation is still grim. Nearly three quarters of children are out of school, according to the UN statement, which is the highest out-of-school population in the world. An official famine was declared in two counties of South Sudan in February, and hundreds of thousands of children are at risk of starvation in the absence of food aid, according to the United Nations. More than 1,000 children have been killed or wounded in the East African nation’s civil war. Both sides have pledged not to recruit child soldiers, but have ignored their promises. A UN official, who spoke on the condition of anonymity, said that opposition groups are recruiting inside UN displacement sites. The official spoke on the condition of anonymity because of lack of authorization to speak to the media. South Sudan’s civil war began in December 2013 and has killed tens of thousands of people. South Sudan’s government forces ‘‘continue to target civilians in violation of the law of armed conflict,’’ the United States, United Kingdom, Norway, and European Union said on Monday, one of the most critical statements by foreign governments against the East African nation as it experiences a sharp rise in ethnic attacks.